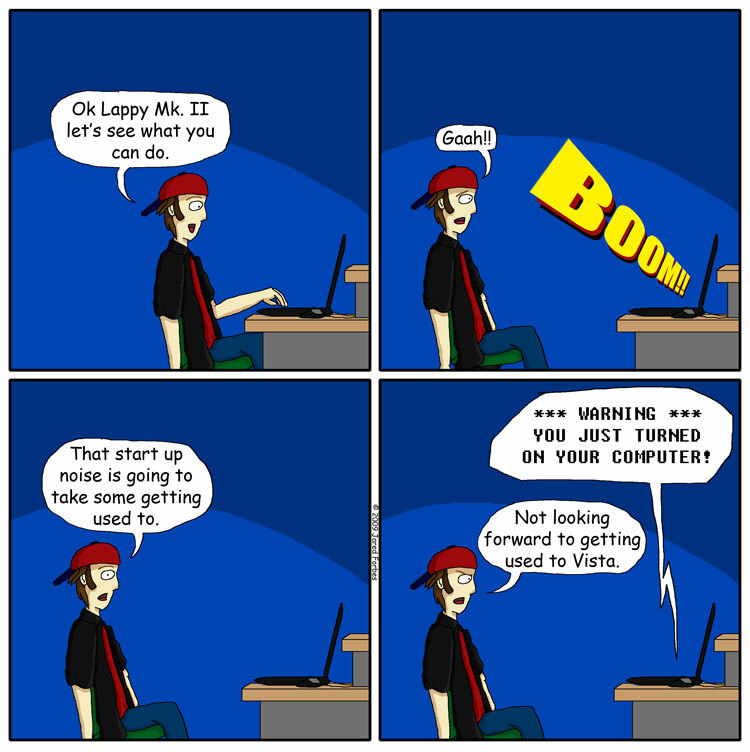 Kickass McAwesome: Lappy Mk. II. So as I'm sure you're all aware, my old laptop died. I had it for three years. A Dell Inspiron. I thoroughy enjoyed that laptop. I graduated college with it, spent a good portion of my free time on it, and most importantly I made every part of my websites on it, and now it's dead. In it's place, I now have an Asus G71, a laptop superior to its predecessor in every possible way. Faster processor, larger hardrive, more RAM and its screen is even .1 inch bigger than my last laptop. Only problem is, like all new PCs sold before last Friday, it came with Vista, thus today's comic.